"He went to Jared" is now old school! The new saying is "He went to Walmart" for their wedding rings! 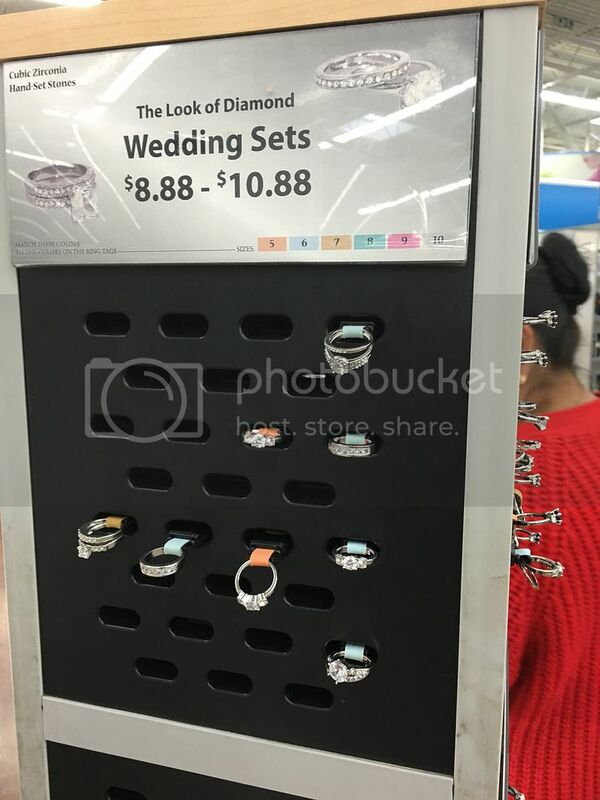 Wedding rings for the budget weddings! I took this photo yesterday afternoon. Nice pic....what kind of camera? When I got engaged (to my wife) I told her if she wanted to marry me, she would have to buy the rings. That was 48 years ago and this June 6th. we will be married 46 years! It pays to break them in right guys! Put your foot down early and make them live by your rules!